“I was not even aware of everything I had," she told SBS Hindi. "My mother had packed some things. When I reached the immigration checkpoint, some officers were checking the luggage and declaration forms. They opened my bag and found the chicken pickle. They were not sure if it was biosecure,” she said. The Migration Amendment (Biosecurity Contraventions and Importation of Objectionable Goods) Regulations 2019 gives decision-makers the power to shorten or cancel the visitor visa. “Australia has strict rules on what can and cannot be imported into the country. 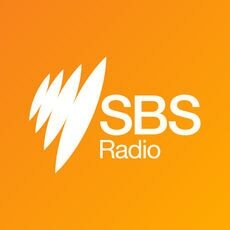 These rules minimise the biosecurity risk to Australia’s unique environment and agricultural industries,” an ABF spokesperson told SBS Hindi in a statement. "To enforce these rules, a new cancellation ground has been created that gives decision-makers the discretion to cancel a visitor visa in immigration clearance, where there has been an attempt to deceive, or a failure to comply with lawful directions of, a biosecurity officer," the statement read. To enforce these rules, a new cancellation ground has been created that gives decision-makers the discretion to cancel a visitor visa in immigration clearance, where there has been an attempt to deceive, or a failure to comply with lawful directions of, a biosecurity officer. “I might have brought something as I did not know what was objectionable. Some of my co-passengers were stopped too. Even they didn't know the rules in entirety,” Nikita told SBS Hindi. The federal government says a minimum income will be required for any migrant to sponsor one's parents for the new visa. “Persons whose visas are canceled under these circumstances may be turned around and returned and will be prevented from being granted a visa to return to Australia for three years except under compelling or compassionate circumstances,” ABF spokesperson told SBS Hindi.